Beauty Box 5 has been full of repeat brands lately. While I am still enjoying this subscription service, I do hope BB5 changes up the brands in the coming months so we can try something new. Sadly, this post is so late that I've already received my June BB5 and there are repeats yet again (review coming soon - ahem, who am i kidding - likely not very soon). I'm excited for the product revealed in the sneak peek of the July box though so hopefully there will be other products in July that are to my liking. The La Fresh wipes are hit-or-miss for me but I do love trying different wipes so I was still happy about receiving these. 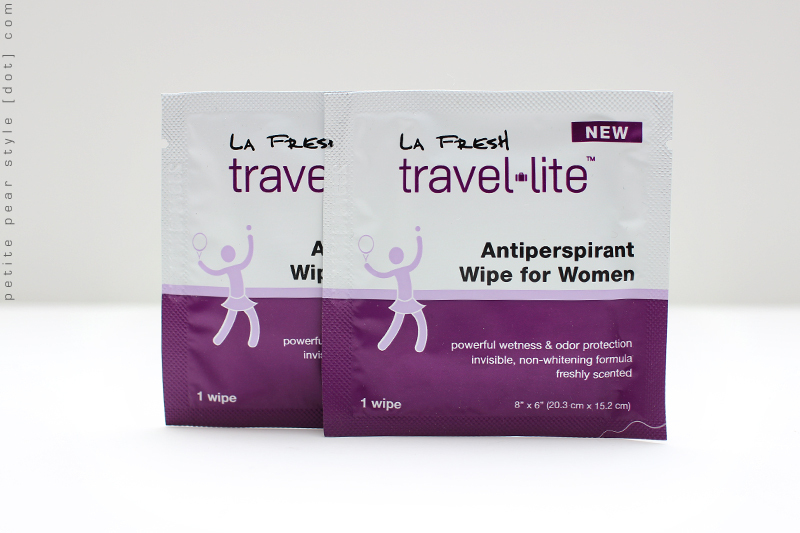 I have been wanting to try the antiperspirant wipes since receiving my first La Fresh samples from Glymm but I probably won't be purchasing them on a regular basis as I prefer natural deodorants. 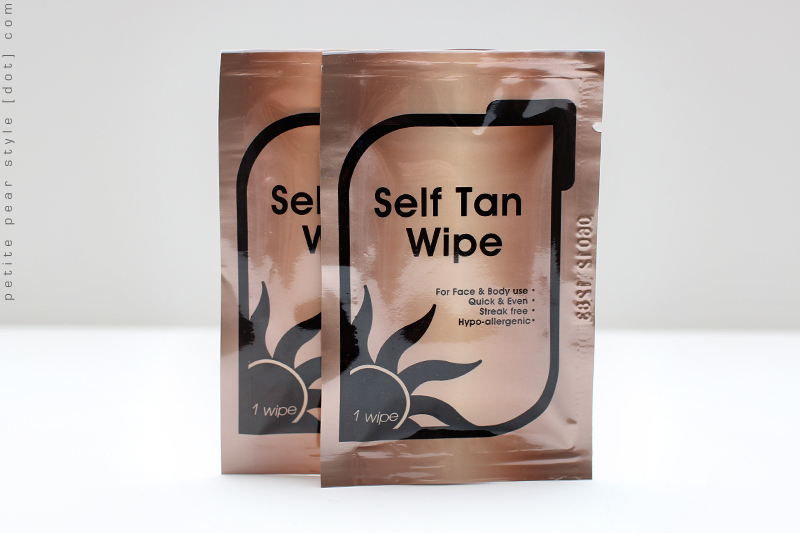 Look for these in a future empties post! I wasn't a huge fan of the Coolway Boost but I'm hoping I'll have better luck with the styling spray. Unfortunately, the scent is not to my liking but I'll still give it a try. We received a very generous sized sample and I like that the bottle comes with a spritzer. I'm not sure which product this is on the Model Co. website - it looks like it might be the black eyeliner included in the travel set. 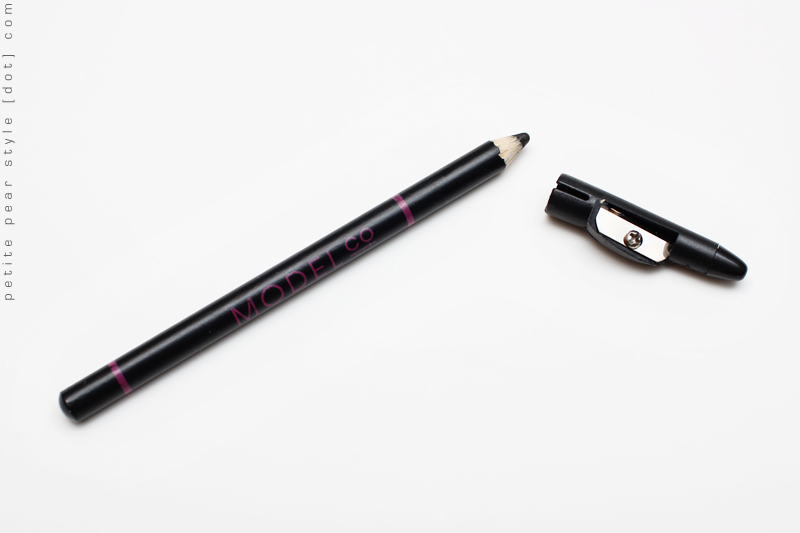 I was happy to see this product as I do like the Model Co. products but a black eyeliner is not too exciting... plus we've received tons of liners from BB5. This eyeliner is very creamy and pigmented but I find it does smudge easily. 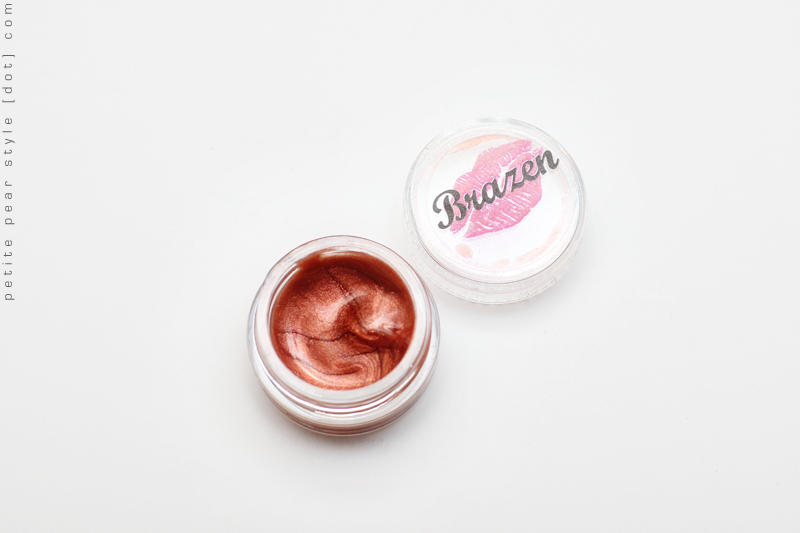 Similar to last month, the Brazen Cosmetics product was my favourite item in the Beauty Box 5! This was a replacement item for the Ferro Cosmetics mineral eyeshadow that we were supposed to receive but there was not enough to go around so some of us got the lip gloss instead. I am very happy with the replacement product. The gloss is very creamy and has a light-to-medium weight to it. I also love the shade - it's lightly pigmented and very flattering. There's a sweet scent to this lip gloss but no flavour. It's much softer than I thought it would be... it looks like it's actually a tube lip gloss that was packaged in the pot for sampling purposes. I don't see this actual shade on the Brazen Cosmetics website - not sure if it's a new shade or perhaps it has been renamed or discontinued. Overall, I thought this month's box was alright. I'm not thrilled about receiving another Coolway product but the other samples I was ok about even though the brands are repeats. I still like this subscription service, especially considering this is the least expensive box out there if you buy the one year subscription ($100 so it only works out to $8.33 per box). However, in light of the frequent repeat brands as of late, if you are thinking of subscribing month-to-month at $12 per month, I think there are better subscription services out there for a slightly higher price. Beauty Box 5 is a monthly subscription service that promises 4-5 beauty samples in each box. It ships out of Austin, Texas. The samples are shipped in relatively small cardboard shipping box. The current dimensions of the box are approximately 6.5 inches x 4 inches x 2 inches and the box fits easily in my tiny condo mailbox. I'm getting tired of the repeat brands as well...to be honest I'm wanting something other than Brazen Cosmetics! haha i don't mind the brazen stuff but the coolway and la fresh is getting very old!! I left a long comment but I think your blog ate it :( Anyway I hope July is better! i received your comment in my e-mail so i got to read it anyway!! argh that brush holder really irked me... but one of my friends really liked it! i should have saved mine to give to her but i had already donated it. every time i catch up on my blog, i fall behind again - why don't i ever learn my lesson? 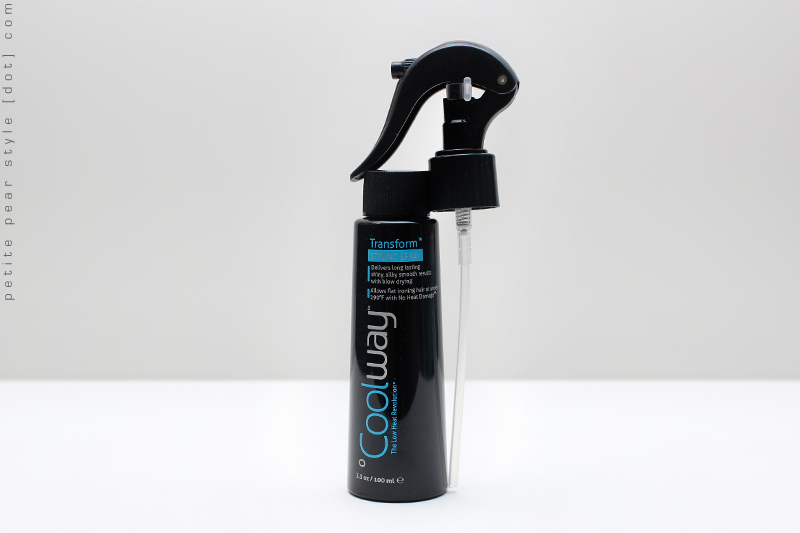 Haha, I love your reaction in the video after smelling the Coolway product! thank you! :) haha i should have known it would smell the same as the boost - the packaging was essentially the same.